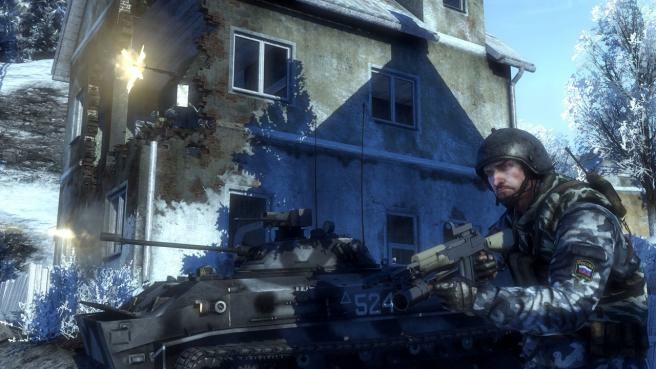 Battlefield Bad Company 2 brings the spectacular Battlefield gameplay to the forefront of next-gen consoles and PC, featuring best-in-class vehicular combat set across a wide range of huge sandbox maps each with a different tactical focus. New vehicles like the All Terrain Vehicle (ATV) and the UH-60 transport helicopter allow for all-new multiplayer tactics in the warzone. Extensive fine-tuning ensures that this will be the most realistic vehicle combat experience to date. Tactical destruction is taken to new heights with the updated DICE Frostbite engine. Players can now take down entire buildings or create their own vantage points by blasting holes through cover, thereby delivering a unique dynamic experience in every match.